In a culture where status is increasingly defined by likes and followers, Ocasio-Cortez proves doing the work is real power. Yet another viral Alexandria Ocasio-Cortez clip has been making the rounds this week — the most popular tweet of it has a staggering 14 million views and over 87,000 RTs. Part of an impassioned congressional speech about her climate change advocacy, it’s a nice two-minute distillation of AOC’s general political ethos, and it kicks off with a great biographical detail. “One year ago, I was waitressing in a taco shop in downtown Manhattan,” she says. She's come a long way from slinging tacos. In March, Ocasio-Cortez graced the cover of Time magazine, the subject of a massive profile. She has truly become a cultural sensation, and there are many lessons that can be taken from her skyrocketing success. Part of this influence has to do with her mastery of the “extremely online” lifestyle, but her Twitter clapbacks and retweet retorts are not the elements that should be emulated. Instead, it’s what the 29-year-old does IRL that makes her an excellent role model for her fellow millennials. She is not simply talking the digital talk — she is walking the walk, grinding out real policy solutions in Congress. Twitter clapbacks and retweet retorts are not the elements that should be emulated. Instead, it’s what the 29-year-old does IRL that makes her an excellent role model. Meanwhile, others who have gained fame in this period of great #Resistance are doing so in less concrete ways, often online. Figures like Seth Abramson reap the retweets, but are not converting the talk into action. Pod Save America is a great listen, but… pod isn’t going to save America. And journalists who think they are speaking truth to power by talking on cable news (or incessantly slamming Donald Trump on Twitter with some epic burn) are certainly not serving in the way Ocasio-Cortez is. Now, there are some important caveats here. Like all politicians, hero worship can sway too far toward the extreme (like this Allure piece which asks an astrologer to explain “AOC’s birth chart” so we can learn “we all love her so damn much.”) And calling Ocasio-Cortez a millennial role model is also not an endorsement of her political views. 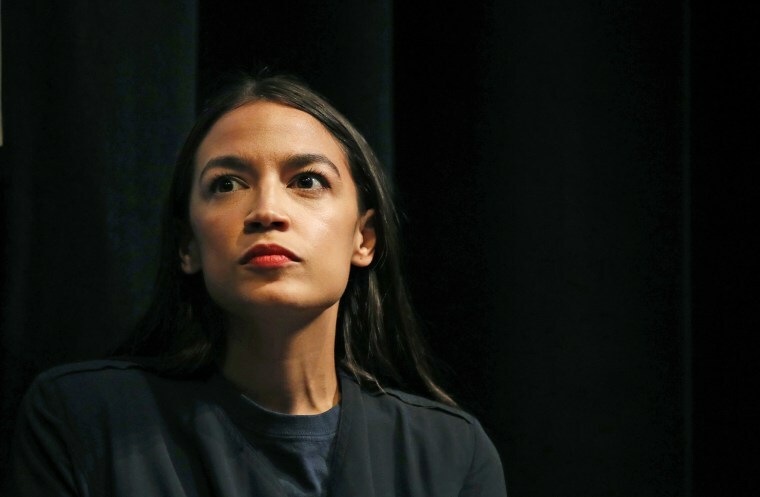 Personally, I think there are many questionable conclusions and directives within her Green New Deal proposal, and her explicit support of socialism and implicit support of anti-Israel sentiments is concerning. Meanwhile, there have been instances where Ocasio-Cortez has been blatantly incorrect in what she’s said or tweeted. She, like perhaps all of us on the little birdie platform, would be well-served to spend less time on Twitter. No, I’m not advocating for millennials to blindly follow Ocasio-Cortez’s specific positions. It is the act of being in a position to enact them that is worth of emulation. There is a misconception by many, particularly non-millennials, about the rise of the digital cultural celebrity. They talk about the so-called Kardashian Effect, the idea that people can be famous for nothing. They see people in their teens and 20s with millions of fans and followers on Instagram, YouTube and Twitch and wonder how — and why. But Kim Kardashian West actually understands the distinction. It is Kardashian who sat in the Oval Office to make the case for commuting the sentence of Alice Marie Johnson, who had been in federal prison for more than two decades on drug and money laundering charges. Kardashian made the appeal directly to the president. And it worked — Johnson was freed. In fact, that was just the beginning, as President Donald Trump followed the commutation with a push for the bipartisan FIRST STEP Act, a truly revolutionary prison reform bill. Social media and reality TV can get you on the radar, but making an impact takes work — and reality. This kind of service doesn’t have to be political, getting away from the keyboard and out into the world to serve can take many other forms. Both sides of the political aisle would be smart to look at Ocasio-Cortez’s rise as an opportunity to convince more millennials to get involved in the political process in a tangible way, and thus help shape the future in a tangible way. The GOP does have at least one member of Congress that fits the bill already, Dan Crenshaw, a 35-years-old representative from Texas. (Crenshaw is serving now in a second capacity; his first career was as a U.S. Navy SEAL). But this kind of service doesn’t have to be political, getting away from the keyboard and out into the world to serve can take many other forms, from volunteering and other forms of philanthropy to community service. In a culture where status is increasingly defined by likes and followers, millennials can look at AOC’s success and see that doing the work and finding ways to serve your country — that’s real power. And while digital influencers aren’t going anywhere, real influence comes from real life.